Upper Makefield Township municipal offices are located at 1076 Eagle Road, Newtown PA 18940; phone: 215-969-3340. Photo: John Chapman House, ca. 1735, Route 232 and Eagle Road, Upper Makefield Township, PA. Listed on the National Register of Historic Places in 1974. Photographed by User:Shuvaev (own work), 2012, [cc-by-3.0 (creativecommons.org/licenses/by/3.0)], via Wikimedia Commons, accessed August, 2014. Upper Makefield Township's well-preserved sense of history and 'place' contribute to it's popularity. It's historic significance is represented in vestiges of 3 historic villages (Jericho, Taylorsville, and Woodhill) plus 3 National Register Historic Districts, Brownsburg, Buckmanville, and Dolington. The township is known for a substantial number of contemporary, luxury homes. Upper Makefield students attend schools (K-12) that are part of the Council Rock School District. 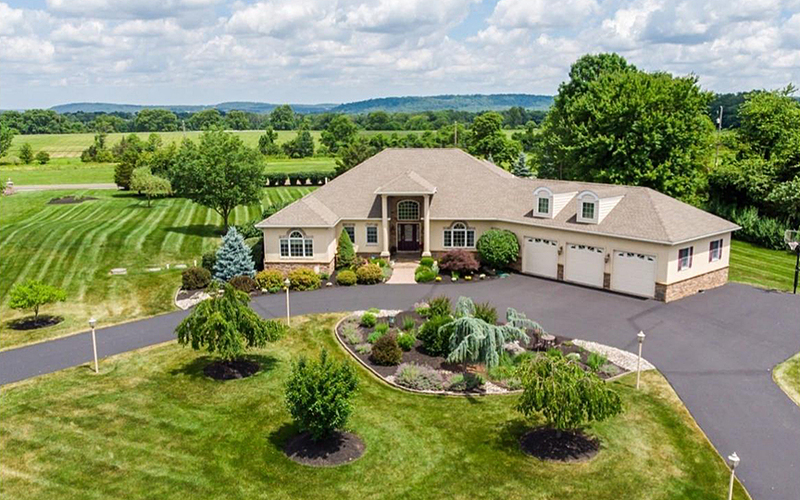 Median resale prices for Upper Makefield Township homes are among the highest in southeastern Pennsylvania, rivaling (and in some categories exceeding) values found in municipalities along the Philadelphia Main Line. Upper Makefield is home to Washington's Crossing (Taylorsville) where, on Christmas Eve 1776, General George Washington led American troops across the Delaware River to Titusville. From there they marched south, surprising & defeating the Hessians encamped at Trenton, and thus turning the tide of the American Revolutionary War.